Here they are, the presentation must haves! 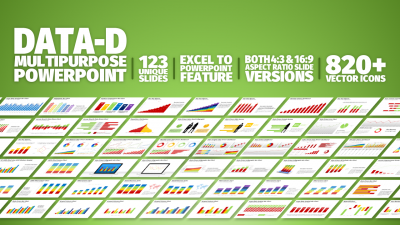 We’ve done all the hard work for you and created a collection of prefinished multiuse presentations meant to fit the need for any type of business. 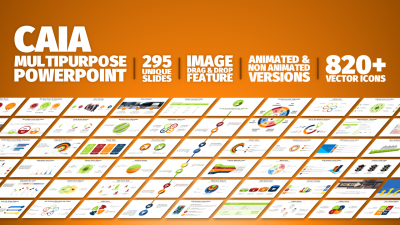 They include multiple unique slides which altogether sum thousands of different templates. 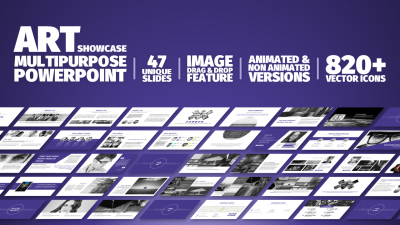 These fully editable slides include varied vector elements, vector maps and tons of icons. They come in different formats, sizes, element & background colors and are even animated or not animated. You will be able to change its colors, include your branding guidelines to them, include your text or photos in no time and get ready to shine!